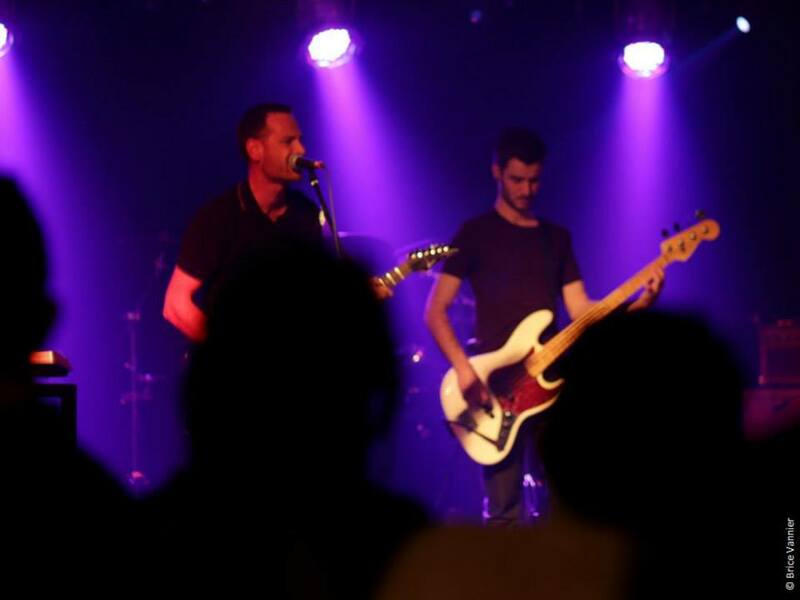 Cellar Door are an ambitious progressive rock band based in Grenoble, France. After forming in 2014 and going through a series of lineup changes, they wasted no time in crafting a mixture of rock, metal and electronica to create a sonic identity that’s unmistakably ‘Cellar Door’. After several years working on material, they decided to enter the studio to make their inaugural mark on the local music scene. The resulting self-titled product shows a band that are undoubtedly clear of their strengths and use them to their full advantage. Opening track ‘The Trick’ instantly showcases the band’s strong progressive rock influences; ambient sounds of wind, water and distorted metallic synth stabs kick things off, before introducing one of the band’s signature traits; sampled sections of speech. Interestingly, there’s also a strong film score influence on the band, with much of the instrumentation and chord progressions being reminiscent of the work of Hans Zimmer. After keeping us in suspense for as long as they possibly can, the band kick into a heavy chromatic riff. One of the band’s strongest points immediately becomes apparent; singer Clément’s vocals. His vocal delivery is immensely powerful, effortlessly sailing atop the arrangement and effectively complimenting the heavy nature of the instrumentation. Particular praise also goes to the instrumental breakdown of the track; bassist Julien provides an excellent counter-melody accompanied by warping guitar feedback, before the track dropping back to ambient guitar swells and ethereal synth sounds. The track eventually builds back up to an extended hard rock influenced guitar solo complete with double bends and sustained notes. This is especially effective due to the preceding section being very quiet, which made the ‘loud’ section truly loud. This is a ball I’d very much encourange the band to pick up and run with. ‘The Burden’ shows a change of pace, opening with ambient synths over a set of soft piano chords. Instrumentally, the band keep the arrangement to drums, bass and synth with a return of the sampled speech before launching into a much heavier chorus complete with rhythm guitar chugs. I thought Julien’s bassline on this track was fantastic; his ostinato-like melody truly glued the arrangement together and provided a wonderful counter-melody to the vocal track in the verses and instrumental sections, before dropping back to the root notes in the choruses. This shows he keeps the song itself a top priority and chooses his moments very wisely. At this point, it’s clear that the band have an excellently crafted and clear-cut sonic identity. They certainly know their signature traits and hone in on them well; the interspersed sampled speech provides an excellent reference point throughout the EP and the contrast between loud and quiet sections in their arrangements are consistent and well-executed. I’m looking forward to seeing how they continue to develop and utilise their signature traits over their next few releases to develop their sonic identity over the course of their career. ‘A Light’ is an interesting change of pace. Set in the rap metal genre, the track draws heavy influence from bands such as Linkin Park and shows great variety. Whilst the track is in a very different style to the other tracks on the EP, the signature sampled speech and dynamic contrasts between sections keeps things consistent and connected. This track also sees the first appearance of backing vocals on the EP, which I would thoroughly encourage the band to continue to make use of in their material is some backing vocal arrangements. Backing vocals can truly bring an arrangement to life and would benefit in making the quieter sections sound more ethereal and the heavy sections sound much more full-bodied vocal-wise. At this point, my attention turns to how the material would best work in a live setting; the sampled speech works brilliantly in their material and it may be an idea for the band to make use of backing tracks in their material to retain this feature. Synths and guitar tracks are present throughout the entirety of most tracks. However, Jonathan currently switches between playing keys and guitar live. It may be worth looking into foot-operated MIDI pedals or including the synth parts in the backing tracks. Finally, being a band with only one guitarist, the band may want to give thought to how they wish to uphold the momentum when Jonathan switches from rhythm to lead. It may be worth making use of a distorted bass pedal or extra synth lines in order to fill in as much of the midrange as possible. The EP rounds off with the 11 minute epic ‘Epitaph’. This effectively brings the entire EP full circle; all influences and signature traits are reprised, from the ambient progressive rock feel of ‘The Trick’ to the rap metal vibe of ‘A Light’. At this point my attention turns to the EP’s production, which is overall very good. The band have clearly taken the time to source appropriate tones at the source to create a well-recorded product. The mixing and mastering is excellent, with all frequencies and levels being well-balanced and all tracks flowing together nicely. Overall, Cellar Door’s debut EP showcases a band that are deservedly confident in their excellent sonic identity. They definitely know what their signature traits are and have no shame in using them to their full advantage. The material is undoubtedly ambitious, well-developed and irresistably progressive metal. Highly recommended for any fans of progressive rock, metal, rap metal and classic rock.